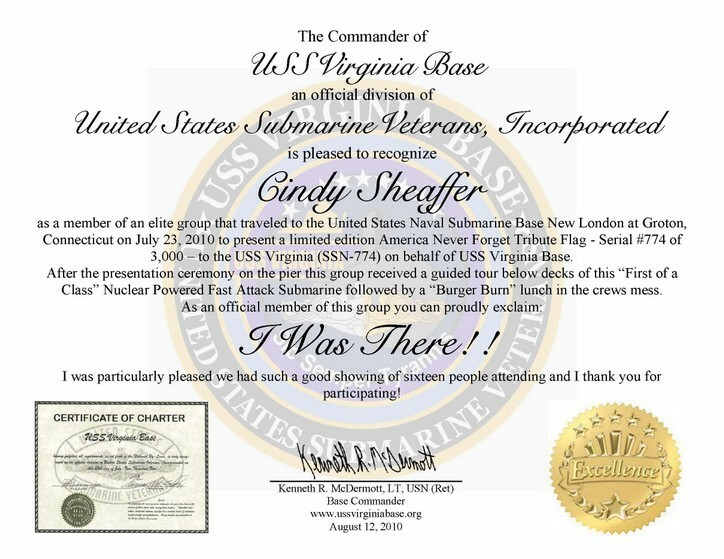 In recognition for having been a member of the Base entourage that traveled to the U. S. Naval Submarine Base New London, Groton, CT on July 23, 2010, for the visit and presentation to USS Virginia (SSN-774) - Base Commander Kenn McDermott designed and produced custom certificates for each couple or individual attendee. 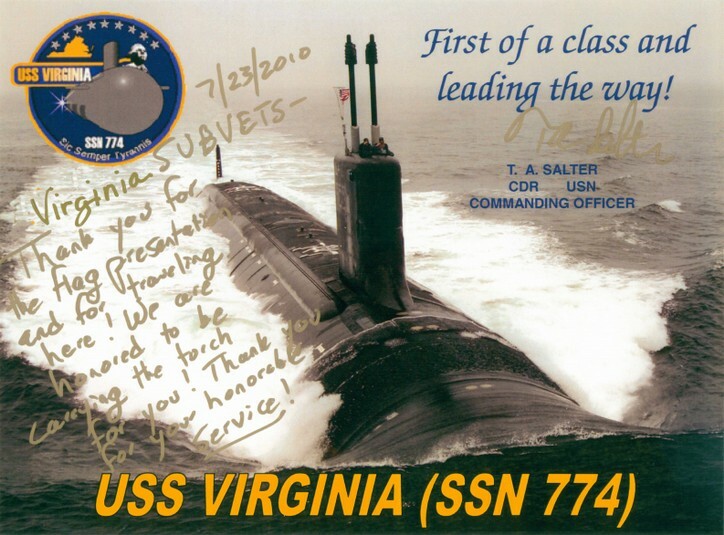 These certificates were mounted in a presentation folder that also included the inscribed photo of Virginia that CDR Tim Salter had put into the shadow box he presented to the Base that day. Kenn presented these certificates at the August 12, 2010 Base meeting, and either mailed them or presented them by other means to those not present at this meeting.